Today’s POP RESCUE is the 2000 debut solo album Tonight And The Rest Of My Life, from former-Veruca Salt vocalist and guitarist, Nina Gordon. I like picking up albums that are by artists that I’ve never heard of – there’s always a ‘dare’ moment, but with it’s appealing cover, this CD was soon in my bag. The album opens with the second single, Now I Can Die. Its electric guitars ushering into a warm verse of confident vocals and bass. I’m instantly reminded of Sheryl Crow or Heather Nova. This is an up-beat rocky track, and it’s well produced and catchy. Next up is the third and final single 2003, which was three years away at the time of this release, so it feels odd that Nina sings about waiting for her love in the future of 2003. This track is perhaps a bit more catchy than the previous track, and comes complete with some lovely vocal harmonies. This is followed by the lead single and title track, Tonight And The Rest Of My Life, which is a much gentler, slower, mellower track. Nina is pitched against strings and piano, and her voice here is delicate and rich, building up as it heads into the chorus. At times, I’m reminded of the Madonna Ray Of Light album, but this is far more guitar-led. Fourth track is Badway, and with the chugging guitars and rockier vocals, she seems to take on an almost Shirley Manson (of Garbage) sound. This song shows that even when solo, she can push out the harder sound. It’s a great track. Play it loud! Up next is Horses In The City, and for this we’re taking a gentler ride again. There’s a lovely stroll of a melody here, that flows perfectly through bass and guitars. ‘I just feel out of place like horses in the city‘ she sings, but it’s hard to imagine Nina sounding out of place anywhere. This is a wonderful song. Hold On To Me is up next, and this is another mid-tempo track, and with slick production. This track definitely feels like a Heather Nova peak – vocally and musically. Again, this is another wonderful song. Roaring in is New Year’s Eve, with a blast of guitars and drums. This is another rockier number, and Nina’s vocals stand strong here. The song is not particularly catchy, but the musicianship here is excellent. This is followed by Fade To Black, which is a little slower, and laced with strings and bass. This track reminds me somewhat of Allison Moorer. It’s nice enough, but my enthusiasm is beginning to fade as there’s little variation between songs. The album is too long. Thankfully, Number One Camera follows and this is quite a bouncy rock number, with a fun, and somewhat catchy section that feels almost a bit ’60s with handclaps. This gives some lighter relief. Up next is Got Me Down, followed by Too Slow To Ride, and both continue what is somewhat of a wafty style of melancholy woman sings over guitars. The latter is somewhat better than former (Too Slow To Ride has some nice delicate vocals in it), but both had me wondering whether I’d got any washing up to do. Penultimate track Hate Your Way opens wonderfully brooding, almost menacingly. It then leads into some a hard drum fill and roaring chorus. There’s some wonderful piano and guitars in here, and thankfully this song is a return to form. It includes a section about 3 minutes in, with some gentle tinkling piano and vocals – which suit Nina’s vocals just as much as the roaring guitar. The album closes with a cover of the Skeeter Davis song, The End Of The World (a song I only know because it was the final PWL single for Sonia back in 1990). Here, Nina takes a softer downbeat approach until the second verse where the guitars, and harder beats kick in. There’s some really nice repeated piano signatures in this, and whilst there’s a slightly different arrangement in this version, it is still recognisable as this classic old tune. Reading the sleeve notes, it reveals that the instruments here include a cardboard box, and a Casio wristwatch drum loop. A bit of an odd choice for a cover, but it sits here happily closing the album. Overall, it’s a shame that this album didn’t chart in the UK – with only the US and Japan seeing notable sales. Nina would surely have found success in 2000 amongst the Natalie Imbruglia and Heather Nova fans, but it would have sat more comfortably if some of the middle album tracks were cut. Whilst there is some variance between harder rockier tracks, and the mid-tempo, and warmer summertime songs, there’s not quite enough variance in the musical instruments. It would have been nice to have heard that broken up a bit more. 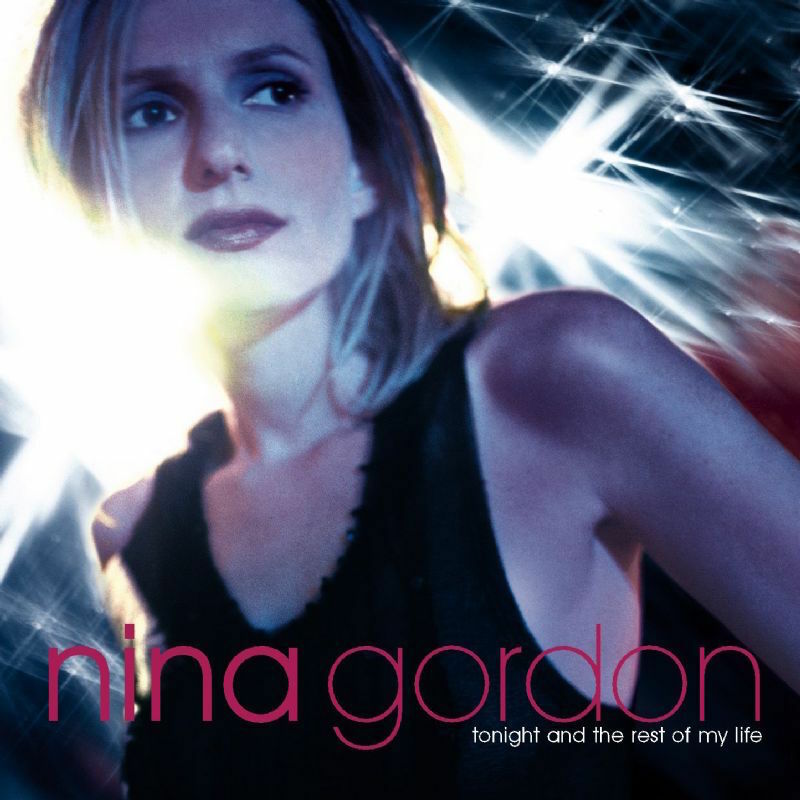 Where is Nina Gordon now? Nina Gordon had been out of Veruca Salt for two years by the time of this album was released – having left due to ‘creative differences’. After this album, she followed it up with her second solo album Bleeding Heart Graffiti in 2006. However, the recording process was not straight forward, leading Nina to re-record the whole thing in 2005. Lead single Kiss Me ‘Til It Bleeds became delayed, and ultimately was her last solo single to date. Nina returned to Veruca Salt in 2013, and the reunited group released a single for Record Store Day 2014. 2000 UK CHART POSITION: Did not chart in UK. Posted in 2000s, Nina GordonTagged 2000, 2003, album, Casio, Now I Can Die, review, Skeeter Davis, Sonia, The End Of The World, Tonight And The Rest Of My Life, Veruca SaltBookmark the permalink.